For decades, when a child had a number of unexplained or unaccounted for absences in school, they could be charged with truancy and ultimately could be sentenced to prison time. Truancy in Texas has recently received federal attention when a federal investigation began into Dallas schools after a number of truancy decisions resulted in questionable punishment that raised eyebrows. Students were either assigned a hefty fine or in some extreme cases, they were given jail time by the adult criminal court. However, as a number of laws are being re-examined throughout the state, Texas lawmakers passed a House Bill that will decriminalize truancy and leave punishment decisions up to school officials. Advocates of the bill instead seek to focus on family and educator involvement into the issue in an effort to determine the reasoning for the absences and how they will be able to prevent it in the future. Now, schools are required to implement preventative measures in order to take the first step towards preventing the truant behavior. If preventative measures are implemented and the family and educators strategize about getting the minor back into school without any success, a court may step in to determine a proper punishment or corrective behavior. Additionally, students will not be hurt when applying for colleges or jobs by having to state any criminal offenses, since a majority of these cases will be able to be dealt with by the school officials and the student’s parents. Opponents of the bill claimed that decriminalizing truancy for minors would further encourage absent behavior and lead to a drastic drop in attendance in school due to lack of punishment. The new bill also puts more responsibility back on the parent, with some lawmakers stating they anticipate a larger number of parents being charged under the Act than before. Some things remain the same, such as the law allowing a school to file a complaint against the parent of a truant student, but the school must be able to show that the absences of the student were a direct result of the parent’s negligence. While not all children have the ideal parenting situation, the school places all truant students in a truancy prevention program, also determining any need for additional counseling or support. Do You Have a Family Law Issue? 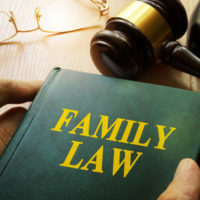 If you or someone you know is experiencing family issues, whether it is a child custody situation, consideration of a divorce or visitation rights, we can help you get the results you deserve. Contact Lindamood & Robinson, P.C. in Houston today for assistance with your case.